Just For You! Personal Support Services, Inc. was established to provide quality support services to individuals who are aging or who have physical disabilities. We aim to give our clients the quality of life they desire and deserve in regards to their personal needs and activities of daily living. At Just For You! Personal Support Services, Inc., we strive to help all individuals in a fair and equal manner without discriminating against anyone on the basis of age, gender, race, language, religion, health condition and status. We will work hand in hand with you and your family to maximize your comfort, health and independence at home. f you are in need of our help to assist you or a loved one at home, please do not hesitate to call us at 770-991-9489. For your convenience, you may also ask questions or request services through our quick contact form. 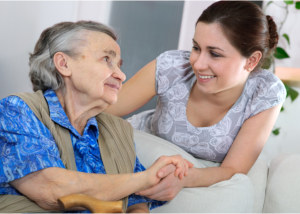 Are you satisfied with our home care services? Please take a few minutes to answer our short and quick client survey questionnaire.